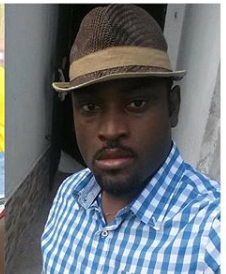 The people of Bakana Community in Rivers State have spoken concerning Mr. Joe Blankson, who lost his life after rescuing 13 passengers in a boat accident that occurred on July 28 in Rivers State. The people called the late Blankson a hero! And his wife and two very young children will miss him. Some survivors of the accident and eyewitnesses had told newsmen that the ill-fated boat carrying 25 passengers capsized due to high speed coupled with difficulty of navigation following a heavy rainfall and floating debris that may have entered the propeller. Though a good swimmer, according to those who spoke, Blankson staked his own life as he single-handedly rescued all 13 persons one after the other, carrying them from the water to shore. The State Police Command through its Spokesman, Nnamdi Omoni, confirmed that six persons got drowned in the accident, while 19 others were rescued.